EVERYTHING YOU NEED TO MAKE MADRID YOUR NEW HOME! We love Madrid and we want you to enjoy it! 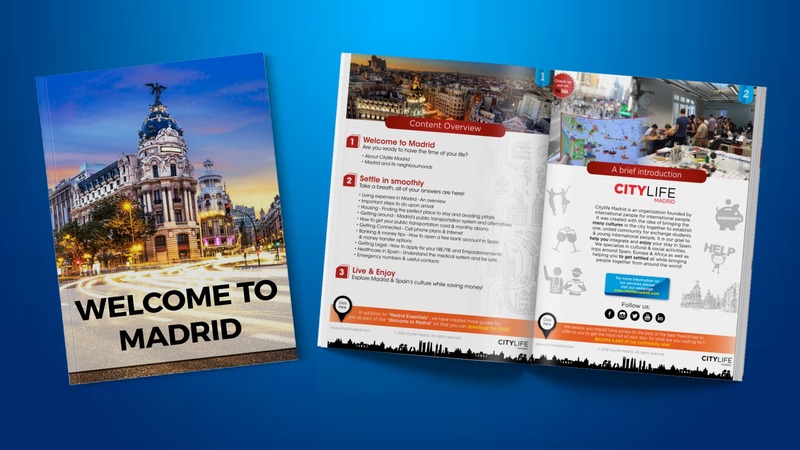 To help you prepare for your time abroad and to settle in to your new life in Madrid, we have prepared the “Welcome to Madrid” kit which consists of several guides that are available to download for free! Find all information you could possibly need in these custom guides created just for you! From recommended neighbourhoods and how to find the perfect room, to Madrid’s public transportation system. From best cell phone providers and to how to open a free bank account to how the medical system in Spain works! It’s all here in our welcome guides! 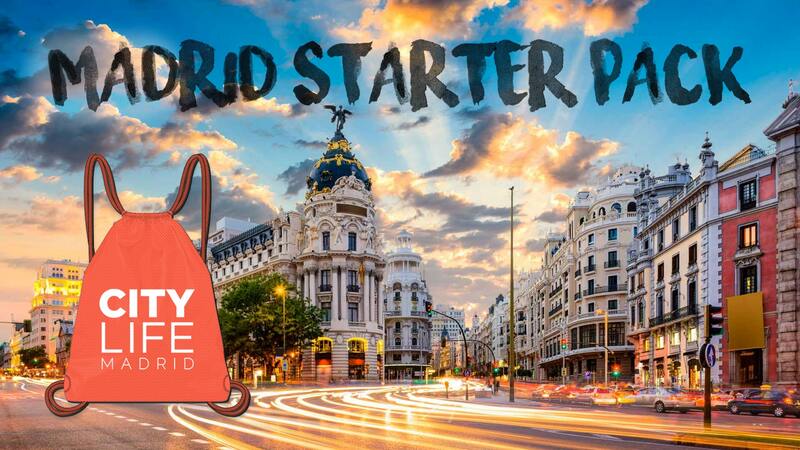 Don’t forget to reserve your free “Madrid Starter Pack”, so it will be ready for pick upon your arrival in Madrid. For a free map and metro plan of Madrid, please click here. Feel free to subscribe to our newsletter to receive weekly information on what’s going on in this amazing city! Also check out our blog for further interesting topics about Madrid & Spain! Moving to Madrid soon? Start preparing now! Download our free Welcome to Madrid Kit! Download our free Welcome Guides! Reserve your free Madrid Starter Pack! Pick up your Starter Pack upon arrival! Stay up to date on what's going on! Just arrived? Stop by our office & get all the help you need for free! Is this content useful for you? PUBLIC TRANSPORTATION CARD & MONTHLY ABONO – How to get it! For many of you it will most likely be your first experience living independently abroad. Citylife Madrid is here to guide you every step of the way on this amazing adventure! Living in Madrid is not cheap, but it doesn’t have to be expensive either! The following information will help you plan, organize and budget your time in Madrid. This “budget guide” will show you a general estimation of typical student expenses. It will not include possible visa fees, tuition fees or flight bookings. In general, the cheapest and most common option for accommodation is renting an individual room in a shared apartment with other students. The average costs of these rooms range from 350 to 700€ per month. To read more about “Accomodation in Madrid” and to get free support in your hunt for rooms, click here! If you would like to apply for our Housing Scholarship, simply click here and follow the instructions! Madrid has an excellent public transportation system (metro, buses and suburban trains) and a relatively cheap and abundant taxi service. There are monthly public transportation passes at affordable prices that allow for unlimited traveling using different modes of transportation within their zones. The typical monthly pass for the city center costs around 54€. If you are under 26 years old, you will be able to get the abono “Jovén” for only 20€! This monthly transportation pass includes all zones! Read more on how to order your public transportation card and save money on single tickets in the “Public Transportation” chapter of our free “Madrid Essentials” guide! Depending on your cell phone provider and how often you use your phone, your monthly cell phone fees will range from 10€ to 50€. Lycamobile is one of the most popular cell phone companies in Spain and they offer special prepaid deals for young internationals! It will save you a lot of money! Learn more and reserve your SIM card now by clicking here! Internet related expenses can range from approximately 30 to 50€. To keep these costs low, look for rooms where the Internet is already set up and costs are included in the monthly rent. If there is no Internet available in your new home, WifiAway might be an interesting option for you! For students who need additional private insurance or who would like to have an additional private insurance alongside their basic insurance, we assume additional costs of up to 40€ per month. Check out our Spanish healthcare system guide to fully understand everything in detail! These expenses completely depend on your eating and social habits. The average monthly total for groceries will cost between 150€ and 250€. For leisure activities such as eating at restaurants and going out, the costs can widely vary, but will average around 200€. In general, the average monthly costs as a student in Madrid can range from 800€ to 1300€ depending on your budget and social habits. To help you save money during your time in Madrid we have created a great online discount resource. Here you will find discount codes and printable vouchers to save on popular student needs such as traveling, leisure activities, restaurants, hostels, museums, pharmacies, clubbing and much more! Check it out now! To read a bit more about living expenses abroad click here. Madrid is a big city full of different housing options for students. There is quite a big range of available options that suit individual preferences and budgets. It is always a good idea to start your housing search and figuring out your options before you arrive in Madrid. The most common option for young internationals is renting a room in a shared apartment with Spanish locals or other internationals. You will also be able to choose between student residencies, homestay, or finding a studio apartment. Search for your new home according to your needs! To support you in your housing hunt, we created a free service that gives you access to some of the most reliable housing platforms in Madrid. Start your search now by filling out the “housing request” form. Once submitted, you will receive housing offers via email that match your specific search criteria! Also check out our free “Housing Guide” to get detailed information on student housing in Madrid and contact us in case of any further questions! Being a part of the Citylife Madrid community means you always have someone by your side! To search for roommates to share an apartment with, simply click here. And last but not least, if you would like to apply for our Housing Scholarship, simply click here and follow the instructions! If you prefer to start the apartment hunt in person in Madrid we recommend to arrive in Madrid 1-2 weeks before your orientation program begins at your university. In case you don’t have a friend in Madrid you can stay with during these first days, check out our Hotel, Hostel & Touristic Apartment Discounts as well as the established airport transportation discounts to save money! The first step to having a cell phone in Spain is deciding if you will use your current phone from home or get a new one once you arrive. If you decide to use your current phone you should make sure it is unlocked before leaving the country. An unlocked phone simply means that it is compatible with any SIM card around the world. Unlocking your phone will cost money as it means you are taking business away from your current provider, but it is something you must do in order to put a working Spanish SIM into your current phone. For information on unlocking your phone, please contact your cell phone provider. Once in Spain, choosing a new phone is relatively easy. You can either buy a used phone from small tech shops around the city or visit one of the many cell phone companies and pick one up. Check here for recommendations. If you would like to unlock your phone in Madrid, you can do it conveniently in our office when you pick up your SIM card. The next step is getting your Spanish SIM card. You can either get a contract or a pay-as-you-go deal (i.e. prepaid SIM card called “prepago” in Spanish)with any service provider in Spain. 1. Contracts are ideal if you plan on living in Spain for 12 months or more. If you are interested in getting a contract you will need both your NIE and a bank account for any phone company to sign with you. 2. Prepaid SIM cards are extremely common and flexible. They are very popular among the international student community here in Madrid as there are no papers to sign and you add money to your phone at your own discretion. However, the different charges with prepaid cards are usually not very easy to understand and information is often misleading – for example, it is very common in Spain that you will need to pay an additional fee for each call you make, regardless of length. This fee is called “establecimiento de la línea” and is not clearly explained. Quite often there are additional costs concealed in the fine print. To avoid complications, misunderstandings and subsequent frustration when choosing the ideal cell phone plan, our recommendation for the academic term 2019/2020 is Lycamobile! Lycamobile is one of the biggest cell phone providers in Europe offering different, cheap bundles that you can choose from. Get your new SIM card now for free in the Citylife office! And this it how it works: You can mix and match between different “bundles” the way you want to, based on your own needs. Simply check out the Lycamobile “young internationals” flyer* for the most popular “bundles” at the moment. *If the offers displayed in the flyer above don’t suit your needs or isn’t available for your country, check out the other options offered by Lycamobile by clicking here. You will get the free Lycamobile SIM cards in our office, this way we help you to activate them properly and will explain you how everything works in person! As Lycamobile can change offers, we recommend to always check their webpage too! Spread the news among your friends, it will save you a lot of money! For more information on how to reserve, simply click here! Avoid additional fees and frustration due to hidden costs! The SIM card provided by Lycamobile is one of the cheapest and best offers you can get in the market today. All prices already include IVA (value added tax in Spanish is called IVA), so there are no hidden costs. Be connected already on your first day in Madrid! Once you have reserved your SIM card online, you will immediately receive your new Spanish cell phone number that you can share with your family and friends back home. You will immediately be connected to the world on your first day in Madrid once you have activated your SIM card in our office: Calle Gran Vía 22Dpdo – 2nd floor (Metro: Gran Vía). Also take advantage of this visit by getting to know us, ask us any questions you might have, get your free “Madrid Starter Pack” and pick up your public transportation card in case you have also ordered it online. Reserve your SIM card now conveniently online! 1. Fill out the request form with your personal information and submit it. 2. We will process your SIM card reservation and store your SIM card in our office. In case you would like to know your number immediately, please send us a short email to info@citylifemadrid.com. 3. When you arrive in Madrid, please visit our office at Calle Gran Vía 22 Dpdo (2nd floor) as soon as possible to pick up your new SIM card. To activate your card, you must bring a piece of ID (passport or drivers license). Important: Once you have reserved your SIM card online, please make sure to stop by our office within the first days of your arrival in Madrid! We provide this service for free to our community, so please ensure when reserving your card that you pick it up or let us know if you dont need it anymore, so Citylife and Lycamobile can continue offering this wonderful service. Once your departure is getting closer, you don’t have to worry about any type of required cancellation. Make sure to consume your remaining credit. Your SIM card will be deactivated automatically after some months without usage. Any questions? We are happy to help you wherever we can. Don’t hesitate to contact us by sending us an email to info@citylifemadrid.com. After reserving your SIM card online, spread the news to all your friends planning on traveling to Madrid. This prepaid offer by Lycamobile is and will be widely popular among the international student community, which means that you will save a lot of money when making calls! Be connected on your first day in Madrid and take another step towards enjoying your time in this great city! Much like cell phones, Internet is a must-have for most people. There are many free wifi spots to be found in Madrid including some plazas, cafes, McDonalds, Starbucks and many other large chains. You are also welcome to enjoy free Internet in our office. If you need Internet at home, it’s recommendable to look for flats with Internet already included. However, if you have found a flat that you like but Internet is not included, there is a very practical & economic solution offered by WifiAway which will save you money, hassle and complicated paper work (e.g. no NIE or Spanish bank account are required to obtain Internet for your new home)! Be connected on your first day in Spain with WifiAway wherever you are. There is no minimum contract duration! To read more, click here! Almost all students in Madrid use the public transportation system on a daily basis. The cheapest and most convenient way is to get your monthly transportation pass which gives you full access to all Madrid public transportation. The first step is to order your transportation card. Once you have your card, you can top it up with a monthly credit called “abono” (valid for 30 days). The price of your monthly abono depends on your age and the zone of Madrid where you will be traveling within. You will be required to choose between the abono “Jóven” (less than 26 years of age, only 20€, all zones included!) and the abono “Normal” (between 26 and 65 years of age). The Zones are: A, B1, B2, B3, C1, C2, etc.. Zone A includes the city’s central areas. Please click here for more details on abono fares per zone. In order to save time and money, we recommend that you apply for your transportation card online about 4 weeks before you come to Madrid! Once you have picked up your card you can top-up at any machine located in metro stations around the city, at “Estancos“ or at Bankia Madrid ATMs. After arriving to Madrid, you then simply hop by our office to pick up your transportation card. The Citylife office is located right next to Metro Gran Vía! While at our office you will get the chance to get to know us, ask questions, get your free Madrid Starter Pack, and pick up your new Spanish SIM card for your phone. Click here for step by step guideline detailing how to get your transportation card in a stress free manner! Once you arrive in Madrid, think of the Citylife office as your home base! You can come to us with any questions and we will help you every step of the way! To help you prepare for your stay and get settled once you arrive in Madrid, we have created a FREE SERVICE for our community called the Citylife Madrid Questions & Answers Forum! We know that a stay abroad is a challenging adventure for everybody and we would like to make your time in Madrid a smooth transition from the moment you arrive. We are here to support you and your new adventure by answering your questions before and after your arrival to the city. We can help you with any questions about housing, university, Spanish culture, living expenses, the city itself and much more! Simply join our forum and post your questions: Citylife Madrid – Questions & Answers Forum. Optimizing your spending during your time in Madrid can be a bit of an art. You could be facing a different form of currency, different exchange rates and different fees associated with the use of ATM’s and credit cards abroad. The most convenient & cheapest way to easily access your money is opening a free bank account with Banco Sabadell. This way you have easy access to your money to pay for accomodation and living expenses. Furthermore you don’t have to worry about any fees related to the management of your account or withdrawing money. If you intend on doing an internship in Spain, your employer will also be able to deposit your salary into your Spanish bank account. Sabadell is one of the largest banks in Spain and one of the few institutes offering a simple way to open a free bank account in Madrid. Before deciding to open a bank account in Madrid make sure to check with your current bank institute the costs related to ATM withdrawals abroad. For non-European citizens these costs can vary. For European citizens it’s a bit easier as within the countries of the EU, terms and fees of a bank account are equal to those in your home country. So if you want to withdraw money from a cash machine you will be charged as much money in Spain as in your country. Therefore it is often not necessary to open a bank account in Spain. To open a free bank account with Sabadell, fill out the form here or alernatively download & fill out the following form and send it to info@citylifemadrid.com with a copy of your Passport/ID attached (Application free Sabadell Bank Account: English Form | Spanish Form). 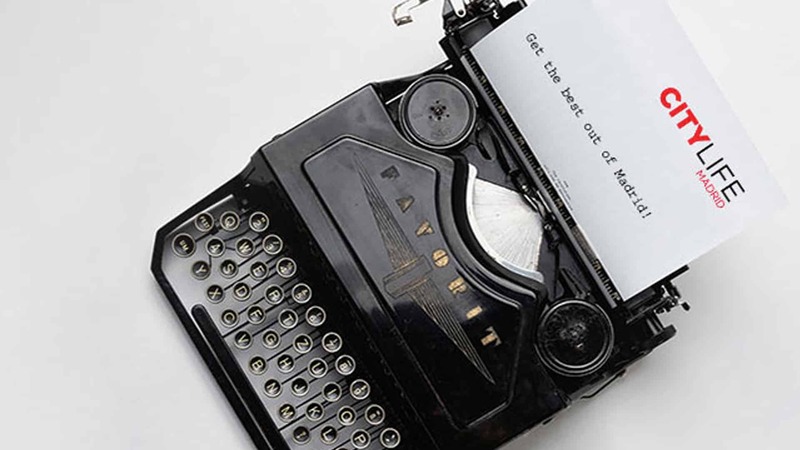 We will immediately forward your request and put you on copy in the e-mail! Further instructions will then follow in the e-mail. 3. Use online money transfer services such as Transferwise (your first transfer of up to 3000€ is for free!) and Paypal. If you choose to use Paypal the recipient and the sender will need to have a Paypal account. In this case it is possible to transfer money between international accounts. However, the fees for such transfers are usually set to a minimum fee, which could lead to expensive transfer fees for larger transactions. Spain has an excellent healthcare system with a wide network of care centers and hospitals. The national healthcare system (Seguridad Social) includes a network of healthcare centers for Primary Health Care (PHC) and minor emergencies. These centers are called Centros de Salud and are usually your first stop when in need of a doctor. Specialist and emergency services are provided in both public and private hospitals. In Spain, prescription and over-the-counter medicine is sold only in pharmacies and is relatively inexpensive. In case you get sick and you need to see a doctor, your first stop should be the closest Centro de Salud. If you have private insurance we highly recommend you go straight to HM Hospitales, the leading Hospital Group in Madrid covering all medical and surgical specialties! They will liaise with your insurance directly carrying out all the necessary procedures on your behalf so you do not have to do any paperwork. With their team of interpreters, HM Hospitales ensures that you will be attended in your own language! 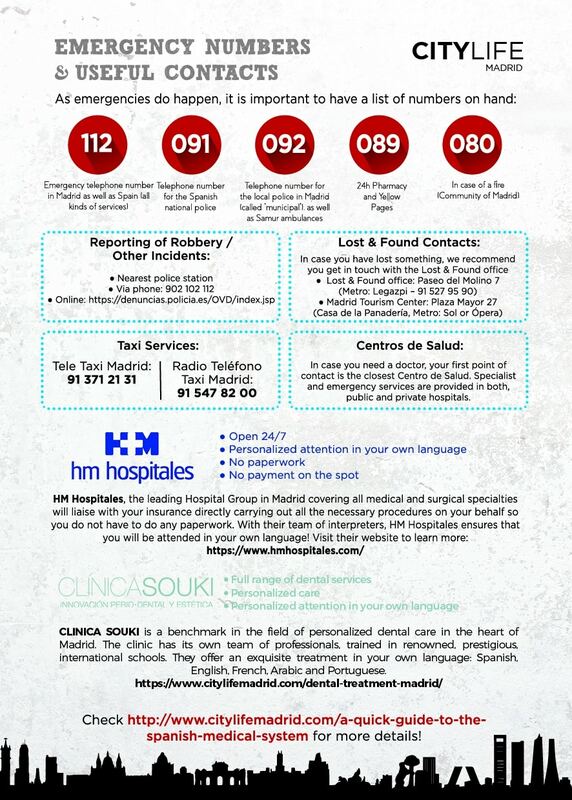 Take a look at this useful list of English speaking doctors & clinics and our “Quick Guide” to the Spanish medical system! To receive the same medical services as Spanish nationals you will have to apply for the European Health Insurance Card prior to your arrival. This will provide you with all basic medical treatment during the course of your stay. does not guarantee free services. As each country’s healthcare system is different, services that cost nothing at home might not be free in another country. In the Spanish healthcare system, PHC services are typically provided at healthcare centers where „family doctors“ have their consultation offices. These centers refer patients, if required, to specialists whose offices are usually in public hospitals. You can apply for a student healthcare card by going to your local health care center and providing them with your ID card or your passport and your European Health Insurance Card. Once you have found your new home, simply check for the nearest health care center to your home by clicking here. As a Non-EU citizen you will always be required to purchase private insurance for your intended stay abroad in order to be eligible for any kind of visa. Always educate yourself on every detail of your insurance plan – how the plan works and what the limitations and conditions are – before you leave home. It also is very important that you purchase medical health insurance that will cover the entire time of your stay abroad. To get a private student health insurance for your time abroad in Madrid, we recommend getting in touch with STM Nummos Life SL. STM Nummos Life SL are registered intermediaries for Bupa Global and Sanitas, the world’s leading medical insurance companies. The different insurance plans offered serve as additional coverage to the European Heath Insurance card, as well as full private insurance coverage. It will cover important private services like hospitalization, home transportation, lost luggage, robbery and much more. They are available to call 24/7 throughout the entire year. Get more information here! Giofactwin Medical Appointment is the perfect app for your medical assistance when you are abroad. It locates medical centers within your area and allows you to request appointments for medical consultations. Chose your nearest center, the app will show you a map with the route to get there and connect you directly with the International Deparment of the medical center. Once there, they will take care of you, giving you and your relatives support and assistance during your stay at the hospital. Download it FREE on App Store (iOs) and Play Store (Android). CLINICA SOUKI is a benchmark in the field of personalized dental care in the heart of Madrid specializing in all areas of dental treatment. The clinic has its own team of professionals, trained in renowned, prestigious, international schools. They offer an exquisite treatment in your own language: Spanish, English, French, Arabic and Portuguese. Click here for more information! To see an overview of other dentists in Madrid, simply click here! Moving to a new country is not always easy. At Sinews Multilingual Therapy Institute, you can find support of all kinds in making that transition easier. Sinews provides psychology, psychiatry, speech therapy, coaching, nutrition, and accent reduction in English, Spanish, Portuguese, Italian, Hebrew, German, and Polish (provided by native speakers). They work with reimbursement plan insurance companies and can provide invoices on the spot, in addition to having a wide variety of prices that make therapy for young internationals even more accessible. Their licensed mental health professionals are committed to helping you find solutions in a relaxed and confidential setting. Receptionists are fully bilingual (in English and Spanish). Click here for more information. Unlike other countries, when you want to buy something like Aspirin, Alka-Seltzer or any other kind of medication you have to go to one of the many local pharmacies in Madrid (green cross) or buy it online. Farmacias TREBOL is one of the biggest pharmacy chains in Spain with locations all over the city offering a free membership card (5% discount) and a great online shop with lots of discounted drugs with free & quick shipment within Spain! Click here to find pharmacies that are open 24h within your neighbourhood! Robbery and other incidents: We always recommend that you report any robbery or any other kind of incident to the police! If you need to report a robbery or assault, go to the nearest police station or do it by phone (902 102 112) or via Internet. Free Legal Advice: The “Centro Regional de Información y Documentación Juvenil” offers from Monday to Friday (9am to 2pm) free legal advice in person with regards to “Housing”, “Legal Status”, etc. Besides general guidance the centre will also provide you with further expert contacts depending on what you are looking for. Centros de Salud: In case you are in need of a doctor, your first point of contact is the closest Centro de Salud. Specialist and emergency services are provided in both public and private hospitals. Haven’t found what you were looking for? General information can be obtained at the Madrid City Hall under 010! The Empadronamiento and NIE/TIE documents are a source of a lot of confusion among many of the internationals here in Madrid. Subsequently we will outline the basic information to support you in the application process for these legal papers. However, as requirements vary throughout the government offices, we strongly recommend that you keep up to date on all of this information. You can do this by getting in touch with your international student office in Madrid as well as the respective Spanish authorities to see what exactly you will need for your appointments. In general we recommend that everyone coming to Madrid – to study or work – registers as an inhabitant of Madrid. The “Empadronamiento” is an easy process that you can do quickly in your local town hall in Madrid (called “ayuntamiento”). There are several benefits related to being registered: It proves you’ve been living in Spain, which can help you get your residency or immigration papers faster and easier in the future. Furthermore, it is required if you intent to get married in Spain and to sign your children up for school. The Empadronamiento document will be helpful if you encounter any legal situation in the future! Along with the Empadronamiento, many of you will be required to apply for the so called “NIE/TIE“. 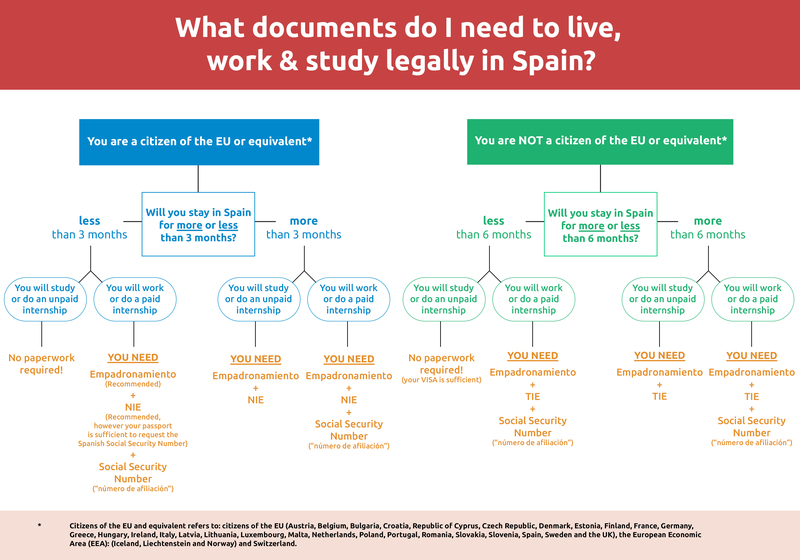 Make sure to understand what documents you really need to live, study & work legally in Spain by reading the guideline we created for you here! Hint: The “Centro Regional de Información y Documentación Juvenil” offers from Monday to Friday (9am to 2pm) free legal advice in person. Besides general guidance the centre will also provide you with further expert contacts depending on your issue. Saving money has never been easier! At Citylife Madrid we understand that as young international travelers you are living on a budget. With the City Card you will gain access to some of the greatest deals the city has to offer! You will find plenty of available discounts that will help you save money on a variety of different products & services in Madrid. Explore the advantages now and read more here. Also make sure to pick up our famous “Discount Booklet” upon your arrival in Madrid which will help you save money on things like bed sheets, hangers, room decoration, etc. Last but not least, we created an online discount platform which contains thousands of popular discounts & deals all over Spain and the access to it is free for our community! For more details, please click here! There are many different ways to learn Spanish during your stay in Madrid. You can choose to participate in one of the intensive Spanish courses offered by your university in Madrid, or select a course that best suits your needs in one of the many language schools throughout the city (for discounts click here). Furthermore, there are also options for you to learn Spanish for free in a less formal environment. There are language exchange meetings called “Intercambio de Idiomas” where you will meet many people interested in learning about each other’s languages and cultures. Alternatively you can also look for a “Tandem Partner” for one-on-one meetings to practice languages. To participate in a free Intercambio de Idiomas we recommend that you join the “Meet & Speak – Connecting Cultures” facebook group. Meet & Speak is one of the biggest international get-togethers in Madrid and a great way to meet new people while improving your language skills. To find a tandem partner, please subscribe here. For those of you who are interested in individual or group classes or tutoring, we are happy to offer you a FREE online trial class with the Madrid Spanish Institute, one of the most popular online language schools for international students in Madrid. Check out our Language section to get more details, discounts on courses as well as instructions on how to reserve your free trial class. We believe you should have access to the best of the best during your time abroad to truely experience Madrid & Spain. That’s why created the Citylife community where everybody is welcome to join! It’s completely free! download our “Welcome to Madrid” guides for free. reserve your free Madrid Starter Pack. get free access to one of the biggest online discounts platform in Spain with more than 1.000 discounts & deals to save money. join the Citylife Sports Club as well as our Language Exchange platform. receive our weekly newsletter where you will automatically participate in our weekly raffles of amazing prizes. Last but not least, join our latest Whatsapp Interest Groups for free by clicking the link below!